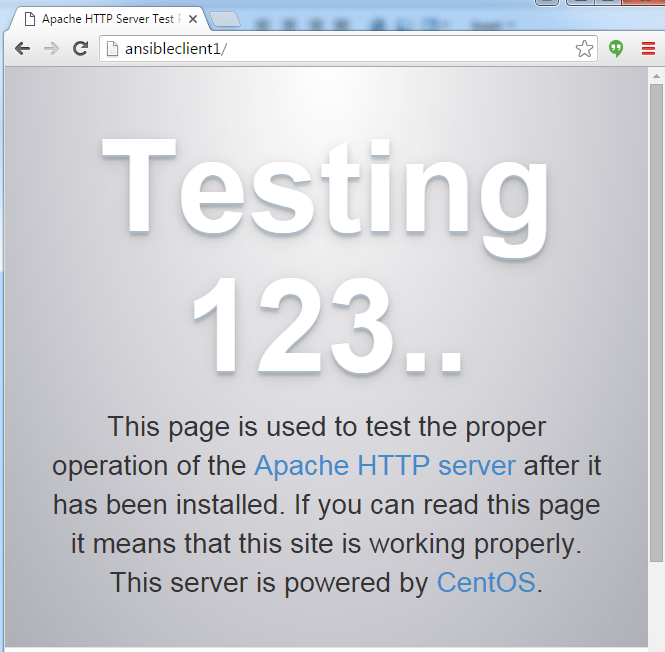 After much delay – I’ve finally found time to take a look at Ansible. I’ve spent some time looking at possible platforms to automate network deployment and Ansible seems to be a favorite in this arena. One of the primary reasons for this is that Ansible is ‘clientless’ (I’m putting that in quotes for a reason, more on that in a later post). So unlike Chef, Puppet, and Salt (Yes – there are proxy modes available in some products) Ansible does not require an installed client on the remote endpoints. So let’s get right into a basic lab setup. Note: I’ll refer to ansibleserver as ‘server’ and ansibleclient1 as ‘client’ throughout the remainder of the article. The login should work and you shouldn’t need to specify a password for the root user. Note: In this example Im using the root account on both the server and the client. By default, Ansible attempts to use the current logged in user to connect to the clients. 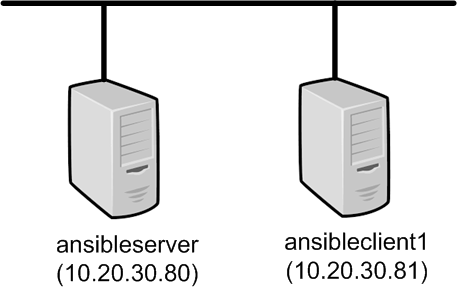 If you dont plan on using the root user on the server, you’ll need to tell Ansible to still use root for connectivity. I plan on covering this functionality in a later post. Here you can see I’ve added a group named ‘linuxservers’ and in that group I’ve defined a client ‘ansibleclient1’. Any host that you wish to manage must be specified in this file. Once defined, it can be referenced either directly by name or as part of a group. Review some of the default examples in this file to give you an idea of how you can match on different hosts. The list of all of the modules can be found on the Ansible website. So while the modules themselves are powerful, running them in this manner isn’t much better than just executing one module at a time. The system becomes really powerful when you couple modules with playbooks. Note that this time the task completed without making any changes. Since nothing changed, there’s no need to notify any of the handlers. Pretty slick huh? I hope this first look at Ansible has been helpful. Stay tuned for more posts on other features and ways to automate with Ansible! Thanks for the this nice post. Shared connection to 192.168.56.10 closed. So my question is that, do we need to install some packages for the successful execution of module ? Btw, I found one typo. handler name is “openport80” but notify is sent for “openport8”. What OS are you running on? It looks to me like the system isnt using firewalld. Is it an earlier version of CentOS or another OS? I am using ubuntu 14.04.
for Ubuntu/Debian, you should be able to achieve a similar result using the apt module instead of yum. I just ran through this on Centos 7.2 and everything worked great. Good job on the article, it was really easy to follow. 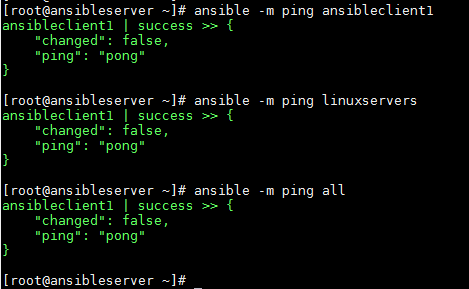 Ansible definitely seems pretty cool. Being ‘clientless’ is a huge plus for me.